Permission is granted to freely use the following photograph for promotional or press purposes so long as it is credited © 2012 Rod Searcey. Permission is granted to freely use the following photograph for promotional or press purposes. Note: In print, any of these variants on my name are fine Mary Robinette, Kowal, or Mrs. Kowal. It should never appear as Robinette-Kowal or Mrs. Robinette Kowal. Robinette is my middle name, not my maiden name. 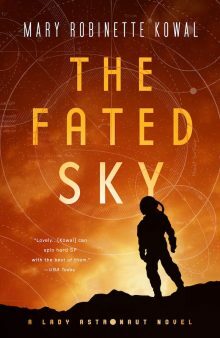 Hugo Award-winner Mary Robinette Kowal is the author of: The Glamourist Histories series, Ghost Talkers and the Lady Astronaut duology. Her stories appear in Uncanny, Cosmos, and Asimov’s. Mary Robinette Kowal is the author of Ghost Talkers, The Glamourist Histories series, and the Lady Astronaut duology. She is a cast member of the award-wining podcast Writing Excuses and also a three-time Hugo Award winner. Her short fiction appears in Uncanny, Tor.com, and Asimov’s. Mary Robinette, a professional puppeteer, lives in Chicago. Visit her online at maryrobinettekowal.com. 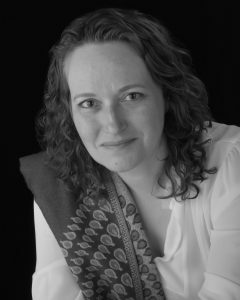 Mary Robinette Kowal is the author of the Lady Astronaut duology and historical fantasy novels: The Glamourist Histories series and Ghost Talkers. She’s a member of the award-winning podcast Writing Excuses and has received the Campbell Award for Best New Writer, three Hugo awards, the RT Reviews award for Best Fantasy Novel, and has been a finalist for the Hugo, Nebula, and Locus awards. Stories have appeared in Strange Horizons, Asimov’s, several Year’s Best anthologies and her collections Word Puppets and Scenting the Dark and Other Stories. As a professional puppeteer and voice actor (SAG/AFTRA), Mary Robinette has performed for LazyTown (CBS), the Center for Puppetry Arts, Jim Henson Pictures, and founded Other Hand Productions. Her designs have garnered two UNIMA-USA Citations of Excellence, the highest award an American puppeteer can achieve. She records fiction for authors such as Seanan McGuire, Cory Doctorow and John Scalzi. Mary Robinette lives in Chicago with her husband Rob and over a dozen manual typewriters. Visit maryrobinettekowal.com. Hugo Award-winning author, Mary Robinette Kowal is a novelist and professional puppeteer. In 2008 she won the Campbell Award for Best New Writer and her debut novel Shades of Milk and Honey (Tor 2010) was nominated for the 2010 Nebula Award for Best Novel. Her stories have appeared in Strange Horizons, Asimov’s, and several Year’s Best anthologies, as well as in her collection Scenting the Dark and Other Stories from Subterranean Press. Her short story collection Word Puppets was published in 2015, and includes both of her Hugo Award-winning stories in addition to fifteen others, running the full range of speculative fiction. In 2016, her World War I fantasy novel Ghost Talkers was published by Tor books, followed in 2018 by her alternate history Lady Astronaut duology. In 2011, after several appearances as a guest star on the podcast Writing Excuses, Kowal became a permanent member of the cast. In 2013, the seventh season of the podcast won the Hugo Award for Best Related Work. Her involvement in the podcast also contributed to the creation of the Shadows Beneath anthology, in which Kowal and her three co-hosts contributed short stories alongside materials charting the unique creative process of each author. Kowal is also an award-winning puppeteer. In high school, she took up puppetry as a hobby, but as Kowal says, she “never thought of it as something you could get paid for.” Instead, she went to East Carolina University to pursue an art degree, minoring in theater and speech. While performing as Audrey II in a performance of Little Shop of Horrors, she learned that a professional puppeteer had come to the show. It was a turning point. Kowal went on to intern at the Center for Puppetry Arts in Atlanta, GA. With over twenty years of experience, she has performed for LazyTown (CBS), the Center for Puppetry Arts, Jim Henson Pictures, Sesame Street, and founded Other Hand Productions. Her designs have garnered two UNIMA-USA Citations of Excellence, the highest award an American puppeteer can achieve. Her career in puppetry consumed much of Kowal’s creative energy for over ten years. Although she wrote in high school and college, it wasn’t until her brother moved his family to China that she began writing again. Like Lewis Carroll and J.M. Barrie, she started creating children’s fantasy as a way to stay connected to her young niece and nephew. Reminded of how much she enjoyed writing, she began submitting short stories and made her first sale in 2005, and her first professional sale to Strange Horizons in 2006. 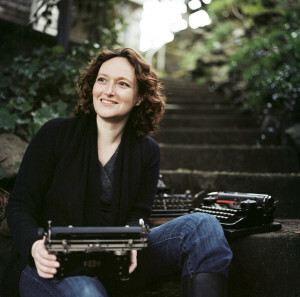 Mary Robinette lives in Chicago with her husband Rob and over a dozen manual typewriters. She has been known to travel with and even write on them. Visit www.maryrobinettekowal.com.